You'll only pay for the pre-order when it becomes available. If the publisher's price changes between your order date and the item's release, you'll pay the lowest possible price. You'll see how many points you'll earn before checking out. We'll award them after completing your purchase. 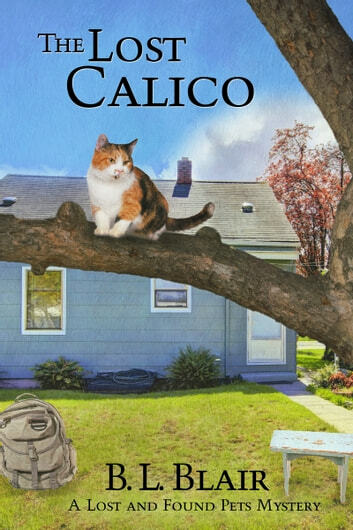 The Lost Calico is the fifth novella in the Lost and Found Pets series. Alexandra Prescott is a licensed private investigator specializing in finding missing animals. Reuniting pet and owner is more than just a job. Alex is still learning to cope with her new-found family when her half-brother, Wyatt, comes to her for help. His girlfriend’s cat is missing. Ivy is a con artist who has Wyatt wrapped around her finger and a secret that threatens her life. It doesn’t take Alex long to expose Ivy’s secret, but she can’t leave the girl to face the consequences on her own. As events unfold, Alex faces the dangers it takes to solve the mystery of the lost Calico.